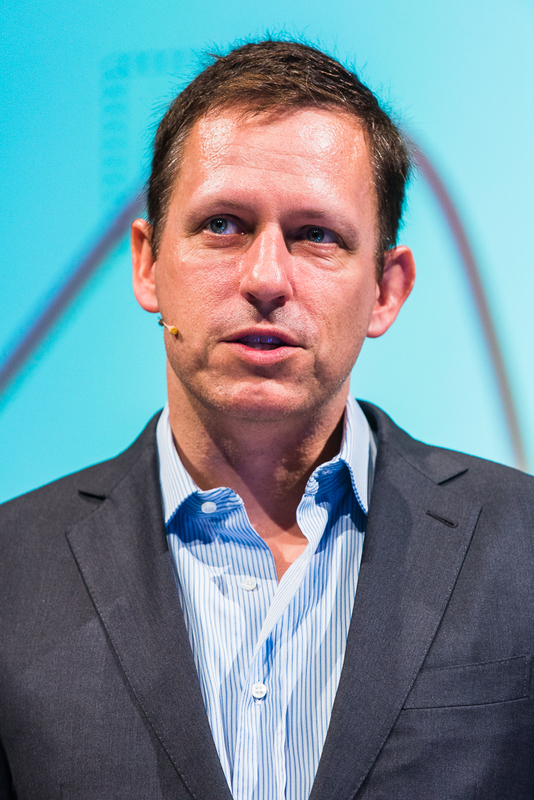 Peter Thiel, Silicon Valley vampire? Headline: "Peter Thiel wants to inject himself with young people's blood." An article from Vanity Fair about Thiel's life extension efforts. The article ends with these sentences, which sound a lot like what RAW used to write: "He’s also signed up with cryogenics company Alcor to be deep-frozen when (or if, a more optimistic death-cheating evangelist would say) he dies. There are three ways you can approach death, Thiel has said. 'You can accept it, you can deny it, or you can fight it. I think our society is dominated by people who are into denial or acceptance, and I prefer to fight it'." Oh, and he says he hasn't started spending $120,000 a year to be infused with the blood of an 18-year-old, he's just thinking about it. My sound bite du jour regarding Mr. Thiel, after listening to his RNC lament that The Government hasn't yet (spent the massive tax dollars necessary to have) gone to Mars--Funny position for a conservative Republican/Libertarian. Peter Thiel--he's no Hagbard Celine!